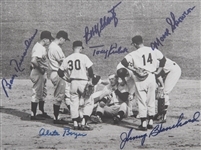 Presented here is a photograph taken during Game 7 of the 1960 World Series after an errant Bill Virdon grounder struck New York Yankees infielder Tony Kubek in the throat. 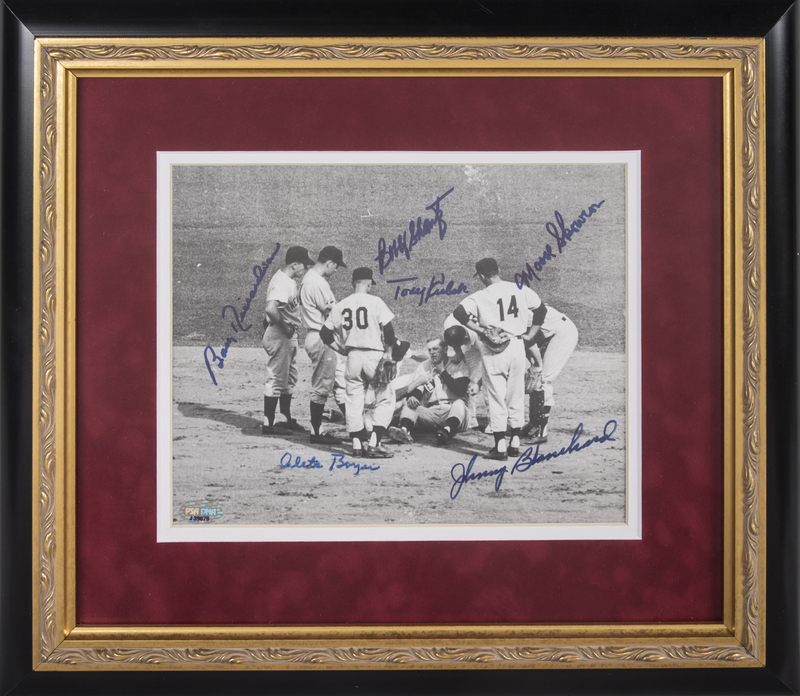 Game 7 became one of the most famous baseball games of the modern era after Pirates shortstop Bill Mazeroski hit the first walk off home run in Fall Classic history to give the Pirates a monumental 10-9 victory and the World Series title. 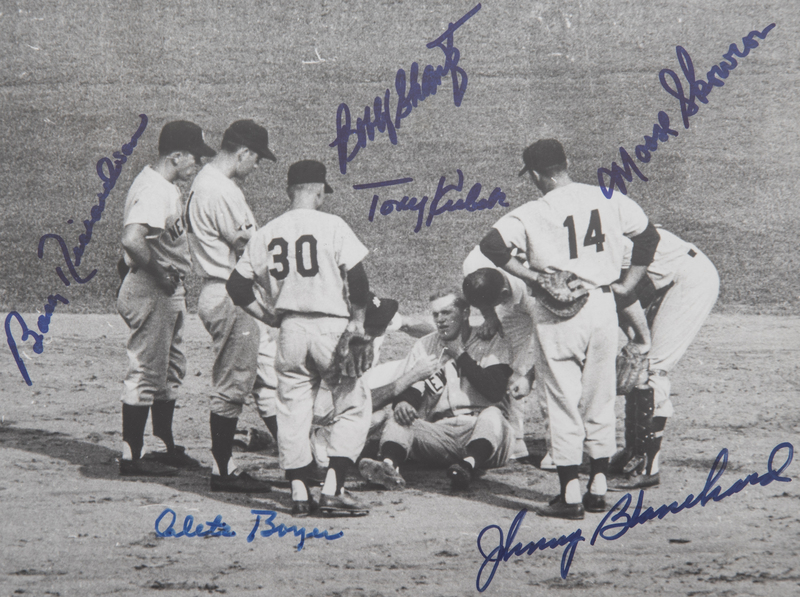 This 9.5 x 7.5-inch photograph has been signed by Kubek, 1960 World Series MVP Bobby Richardson, Bobby Shantz, Moose Skowron, Johnny Blanchard, and Clete Boyer in blue marker. 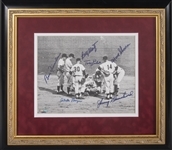 The photograph comes in a 17 x 15-inch frame and is accompanied by a COA from PSA/DNA (J39079).